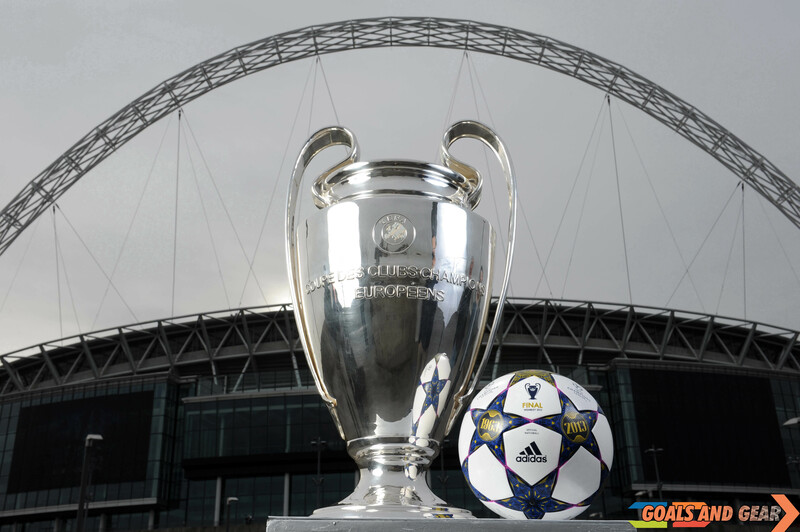 oday adidas unveiled the official match ball to commemorate the UEFA Champions League Final 2013 taking place at Wembley Stadium on 25th May. The adidas Finale Wembley was revealed to the public today as it was announced that the ball will be used on-pitch for the remainder of the season. 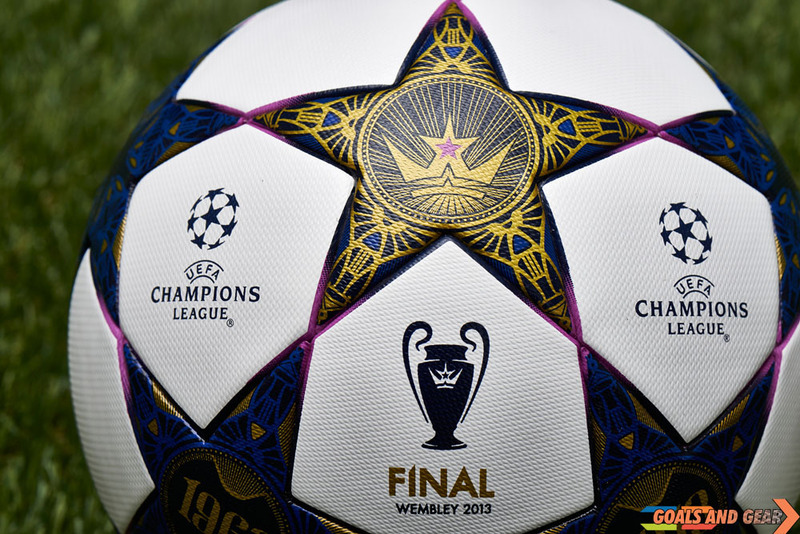 The ball has been designed to celebrate the UEFA Champions League Finals that have taken place at the ‘home of football’ over the last 50 years. 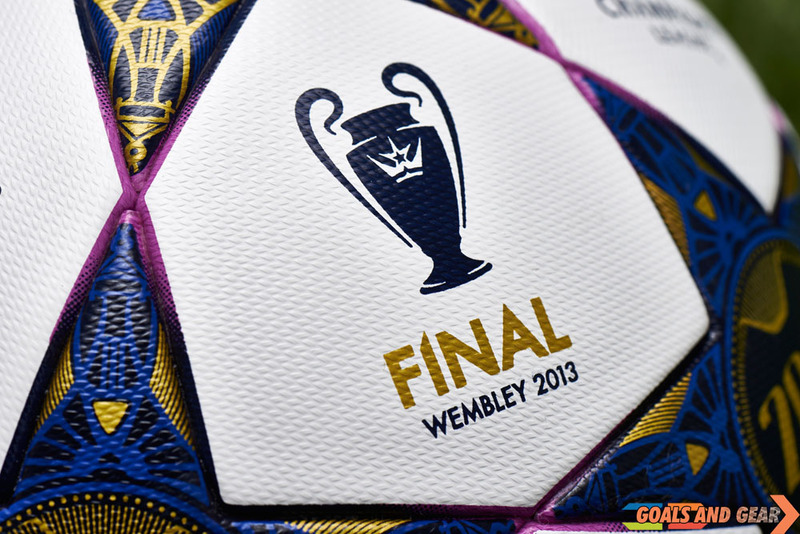 The road to Wembley really gets underway during the knockout stages of the competition during which the ball will be introduced on-pitch. 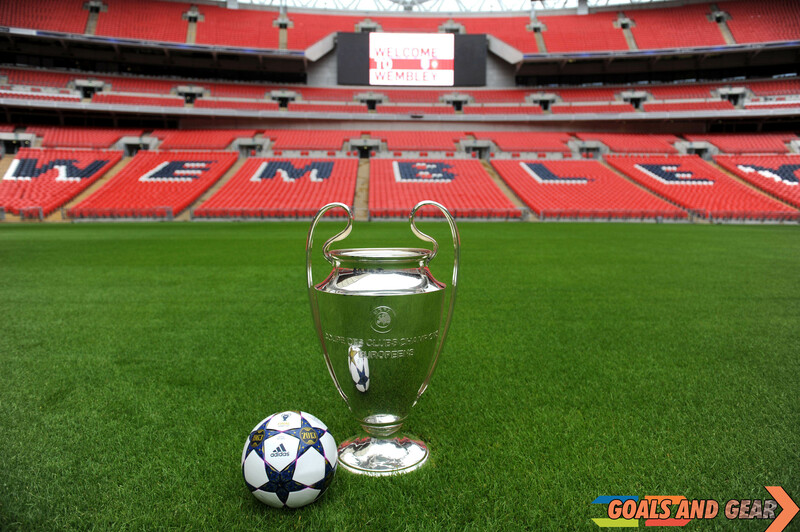 Wembley has seen some of the greatest teams in history compete for the top trophy in European football. 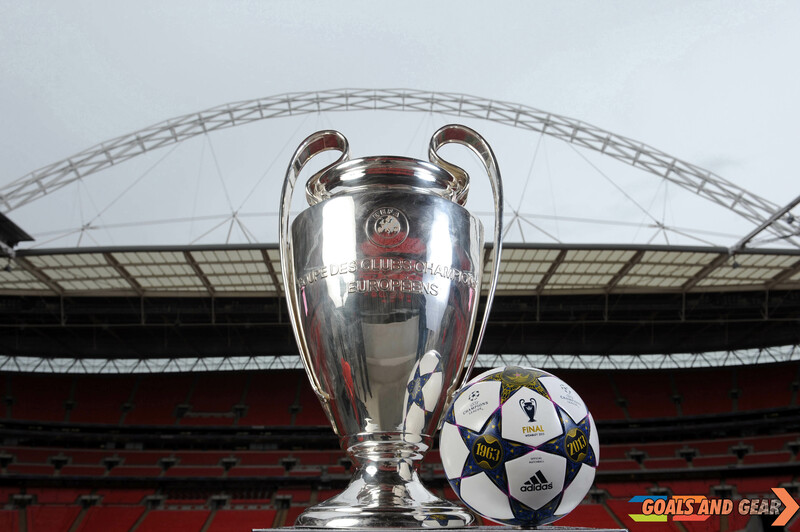 From the AC Milan team in ’63, Manchester United in ’78, Ajax in ’71 to Liverpool’s ’78 side and Barcelona’s all-conquering teams in ’92 and again in 2011, Wembley has born witness to some fantastic sides lifting the UEFA Champions League trophy. The aesthetic of the ball reflects these events, incorporating the years in which the finals took place into the well-known star panel design – an iconic feature of adidas’ official match balls for the competition. The technical graphics and the expressive colour scheme come together to reflect the grandeur of the occasion where this year’s winners will be crowned in front of the near 90,000-strong crowd. adidas has a rich history in developing match balls having been the official supplier for all major UEFA and FIFA tournaments since 1970. 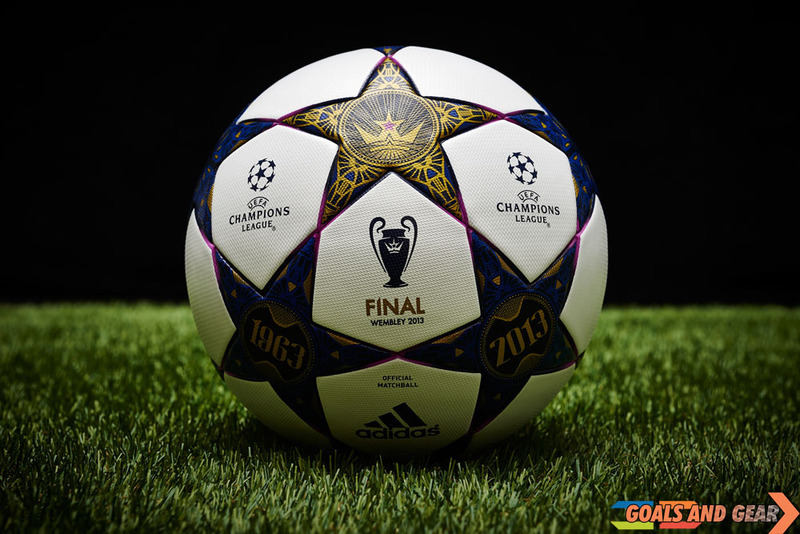 This year’s ball will be the twentieth Official Match Balladidas has produced for the UEFA Champions League competition. The ball features an outer coating texture designed to provide optimal grip at the point of impact. The thermally bonded star panel design on the match ball, based on the design of the UEFA Champions League logo, provides a seamless surface and, as such, a truer flight. The adidas Finale Wembley will be used on field during UEFA Champions League matches from February 12th and is available for purchase in adidas retail stores and associated stockists as of 1st February. For further information on adidas products and services please visit: www.facebook.com/adidasfootball or www.adidasnewsstream.com. Posted on January 30, 2013, in News and tagged 2013, 50 years, adidas, Champions League, final, match ball, special, UEFA, uefa champions league. Bookmark the permalink. Leave a comment.